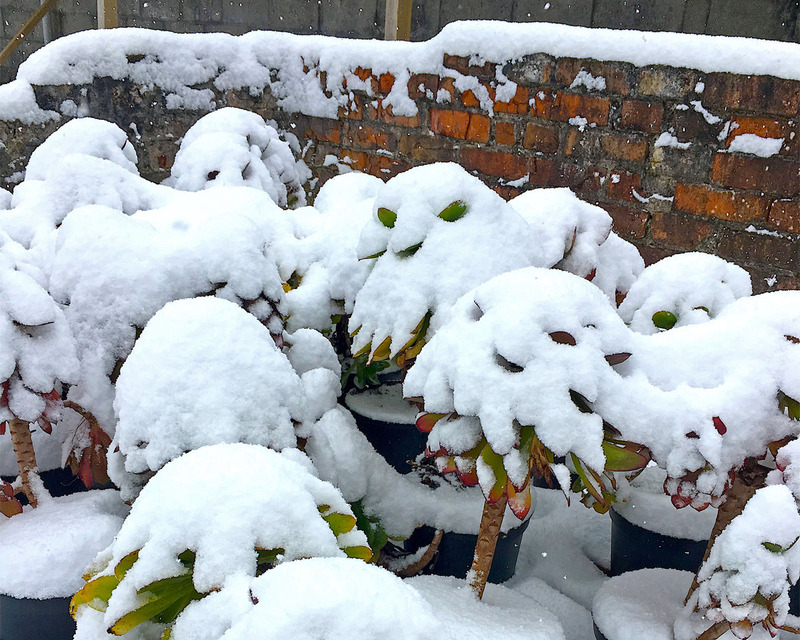 There are many reasons succulents may suffer during the winter months but following these key points can help with the survival of your succulent plants in these challenging times. When the air temperature is set to drop below 5 °C, and a ground frost is likely, it’s essential to prepare your plants for winter conditions. At this temperature, a light frost may damage the more tender succulents, and anything below freezing can potentially kill them, this is due to the amount of water stored in their leaves and stems. As water freezes it expands, this can burst the cell structure in the plant causing damage or even killing your plants. Cold and wet succulents can be very unhappy whereas cold and dry plants can have better chances of survival, as this is more like the conditions of their natural dry habitat. Wrapping your plants in horticultural fleece is vital for their survival, especially when temperatures drop below freezing. There are many different grades of horticultural fleece ranging from light frost to Heavy frost. We use and sell a specially created heavy horticultural fleece that is designed to protect down to -10. Wrapping your plants in horticultural fleece will help to trap in the warmth radiating from the ground giving your plant a protective environment a bit like wrapping yourself in a blanket. Another significant advantage of using the fleece is that it will help to keep the excessive rain off your plants preventing rotting during this cold, wet time of year. This horticultural fleece is designed to still allow light and air movement to the plants by having an open weave. Some essential jobs can be done to help prepare your plants for winter. Succulents can be affected by a multitude of things during the winter time. However, good housekeeping will give them the best chance of survival. Remove dead and dying leaves as these can potentially rot causing diseases and fungus to spread. You can also move your plants indoors to a greenhouse, porch or conservatory. If this isn’t possible, then there might be dry spots closer to your homes such as carports and lean to’s, roof overhangs or even microclimates in front of glass doors and windows. Here will not only be a warmer spot but will also help to keep the rain off your plants during this wetter part of the year. Raising your succulents off the ground on to shelves and ledges will help to keep them away from ground frost, this is particularly crucial for unheated greenhouses. Elevating and wrapping your plants in fleece on benches is an excellent way of wintering your plants without having greenhouse heating. 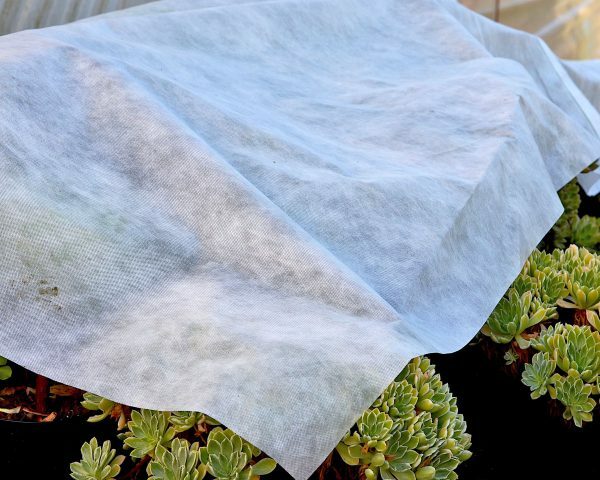 You can also protect your outdoor succulents by covering them with some horticultural fleece, especially if you can’t move your plants when planted in the garden. Adding a top dress layer to your pots or garden is an excellent way of stopping leaves and stems from rotting. A good thick layer 20 to 30mm of Cornish grit, gravel or stones will be plenty. Helping to hold your plants off and above the wet soil during the winter and help to keep them dryer as more air movement can get around the plant. Top dressing can also reflect light on to your plants. It’s essential to ensure your succulents get as much light as possible during the winter if you choose to move them still try to give them plenty of sunlight. It’s not recommended to feed your plants over the winter as you want your plants to stop growing and run out of food by autumn. With less food available the plants stop growing, becoming more robust and hardier plants for wintering. Protect your plants when night temperatures fall to 5°C and below. Move your plants to a warmer or dryer location if possible. Remove dead or dying leaves. Use a good thick horticultural fleece and wrap your plants. Use a good thick layer of top dress gravel to hold your plants off the wet soil. Try to keep your plants in drier locations. Do not feed your plants between autumn and spring. Try to give your plants as much light as possible. Ensure your plants get good air circulation.